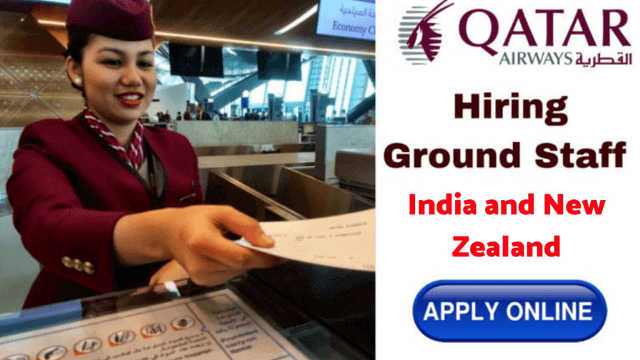 Qatar Airways Hiring Airport – Hello friends do you dreamed to work in an airport? and you are from India, then this news is only for you. Yes, friends in today’s article I am gonna write on the topic of Qatar Airways Hiring Airport Services Agent – Online Apply. Also, you can apply it online in a simple way. In this role, you will provide excellent service at the airport, which will help create a stress-free environment for customers traveling with Qatar Airways. You will ensure that the passengers get total quality service and follow the company’s safety policy and safety standards. Distribute the highest level of customer service at all customer touch points. Supervision of the activities of service partners for the smooth acceptance of the passengers. Directing / departing passengers for arrival area, related areas such as arrival hall, transfer area, departure door, lounge, etc. Entrance requirements check (visa, residence permit) has been found. Coordination with cargo, fuel-making company, baggage make-up area, aircraft loading team, catering suppliers for smooth rotation. To adhere to the administration and duties of the pre and post flight. Handling luggage claims by any traveler. Ensure compliance with QR security and safety requirements. You will have a minimum high school education or equivalent. In order to be successful in this role, you will need a minimum of 2 or more years of proven experience in the airport or GHA as a passenger handling and/or ground operations staff, in which the knowledge of the airport work environment will be well known. You must be proficient in Microsoft Office. Amadeus reservation and Altea will be desirable. Should be ready to work with weekends and night shifts. Fluent (both spoken and written) language is necessary for English. Knowledge of Amadeus Reservations and DCS was liked, but not required. Note – Just you need to attach your updated resume or CV when applying online.